Dr. Meg Crabtree is a third generation dentist and second generation orthodontist who is proud to have practiced alongside her parents, Dr. Elaine Whitney and Dr. Jim Whitney, since 2018. Her parents inspired her to pursue a career in the dental field and to eventually follow in their footsteps to specialize in orthodontics. Born in Dallas and raised in Georgia, Dr. Crabtree loves working with our patients to give them the best smiles possible, functionally and aesthetically. It is rewarding to see patients who once felt self-conscious about their teeth complete treatment and proudly show off their smiles. 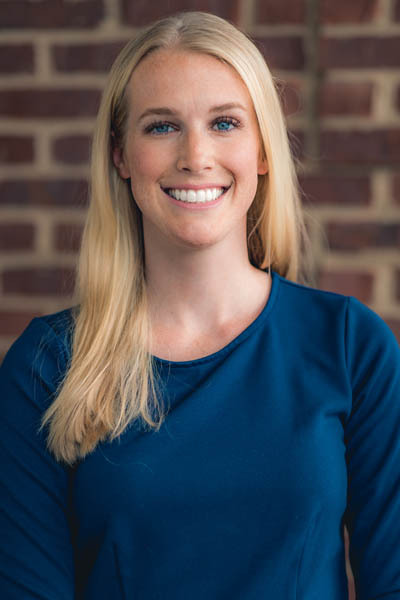 Besides being a good listener who takes her time to answer patients’ questions and explain treatment plans, Dr. Crabtree is committed to learning and staying current on the latest developments in orthodontic care. She has sought additional training in clear aligner therapy and Invisalign® to provide her patients with the best care possible. Dr. Crabtree earned a bachelor’s degree in exercise science from the University of Georgia before going on to the Medical College of Georgia to earn her doctor of dental medicine degree. From there, she went on to earn a specialty certificate in orthodontics from Vanderbilt University. Dr. Crabtree and her husband, Levi, have two daughters, Macy and Cora. When she isn’t in the office improving smiles, she enjoys spending time with family and friends, as well as digging into a good book.